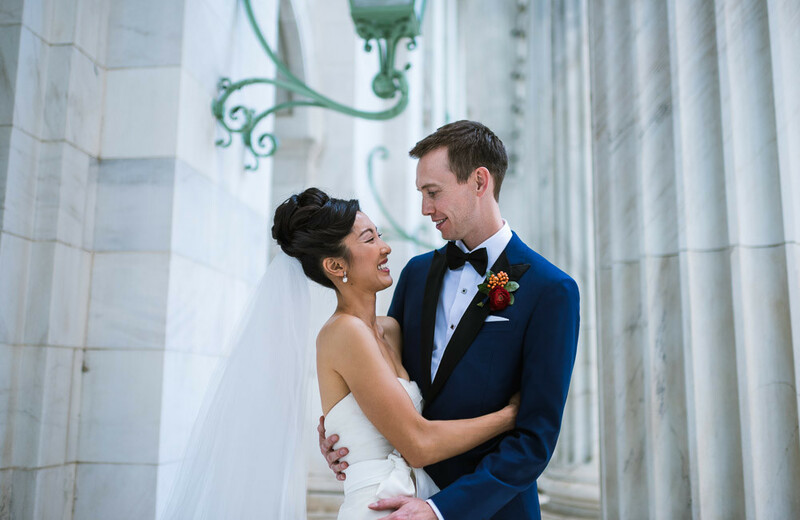 Laura and Sam’s downtown Denver wedding was both completely relaxed and very classy at the same time. While they were getting ready, there was no stress. Before the ceremony, no butterflies. After the ceremony when they were finally together, pure happiness. During the reception, celebration. At the same time, between how they carried themselves, the venues they chose, their dress and decor and their guests and families, their wedding day was pure class. I love seeing two people who know what they want and know how to make it happen. Laura and Sam were truly able to enjoy their wedding day because of good planning and good attitudes. I feel like friends and family got to experience the true Laura and Sam for the entire day, which is truly a wonderful thing. If you missed it the first time around, please take a minute to check out their LoDo engagement session. Stephanie and Shane Got Married!